« Androcles and the Lion–transmogrified . 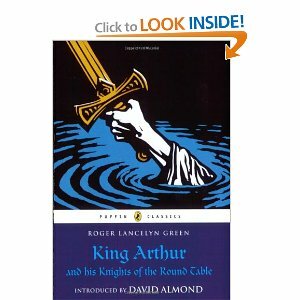 . .
My latest read is King Arthur and his Knights of the Round Table by Roger Lancelyn Green. 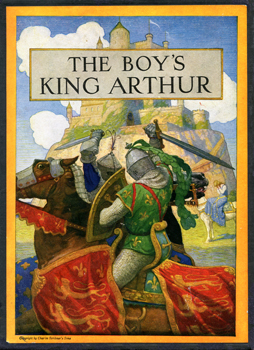 While I am enjoying Green’s work immensely, my favorite edition of this tale is actually The Boy’s King Arthur; but in the interest of accessibility for the modern reader, especially for children, the Green edition is by far the easier. The Boy’s King Arthur is taken from the Sir Thomas Malory edition and was translated by Sidney Lanier. The beauty of this gorgeous hardback that I’ve had for nearly 30 years is that the illustrations are done by N. C. Wyeth and in my humble opinion are incomparable. I will share some here so that you can see what I mean! But the Sidney Lanier translation is a bit more difficult and nothing too important is left out of the Green edition so it is a good place to start. Once you’ve familiarized yourself with the basic characters, plot, and story line of these classic tales from the Green edition, the Boy’s edition will only increase your enjoyment and affection for them. As in most of the literature from the Medieval era, these tales involve all the elements of the heroic quest, or hero’s journey. 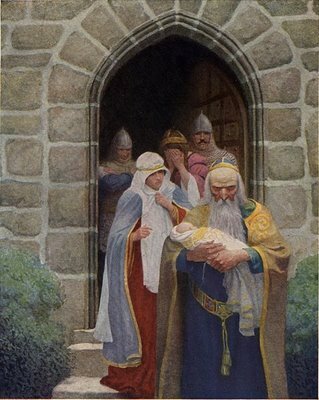 King Arthur is, like many of our heroic figures (Moses, Oedipus, Theseus) taken from his real parents at birth and secreted away to preserve him for his future destiny. 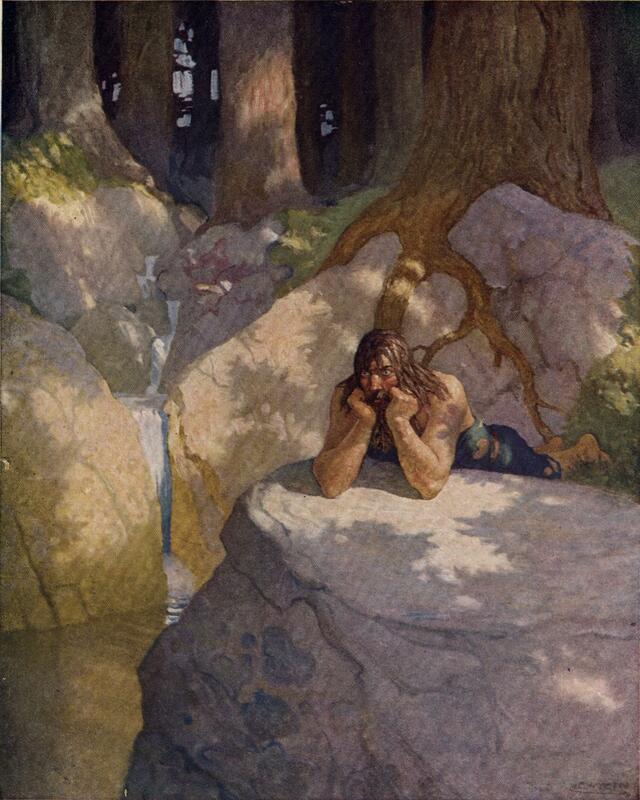 The picture at left is Wyeth’s depiction of Merlin secreting Arthur away. Once his identity is revealed to be the long-awaited and only true King of England, Arthur is given a boon or gift. This is the famous sword Excaliber that is a gift of the Lady of the Lake. With this sword Arthur will ever seek the cause of right and become the most noble knight in all the land! 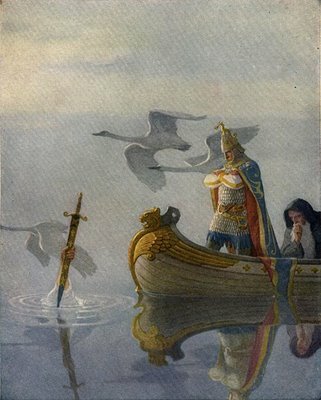 As King Arthur’s fame grows he begins to gather around himself other like-minded knights who are interested in seeking justice and using their swords in the cause of the right. Sir Lancelot becomes Arthur’s most trusted, brave, and loyal companion. As a Knight of the Round Table, Arthur trusts Lancelot implicitly; but sadly both men love the same woman–the noble and beautiful Guinevere. Though Arthur and Guinevere are happily married, Lancelot will not take a wife out of his love and loyalty to Guinevere. But on one of his quests, Lancelot visits the castle of Carbonek where the Holy Grail is secreted and meets one of the fairest damsels in the land, the Lady Elaine. The Lady Elaine falls desperately in love with Lancelot, but alas, he only has eyes for Guinevere. In desperation, Elaine resorts to enchantments to pose as Guinevere and win Lancelot’s love. So strong is the magic that Lancelot forgets his oath, his honor and even that Guinevere is married. The result is that Lady Elaine in the guise of Guinevere, conceives and bears Lancelot’s son–the future Galahad. Lancelot, in his utter shame and despondency over his betrayal and violation of his oath, loses his sanity and wanders the forests as a wild animal. For over two years Lancelot exists like this, knowing nothing any longer of the fellowship of men. Eventually Lancelot is restored, but he is never again the spotless Knight that he had been. 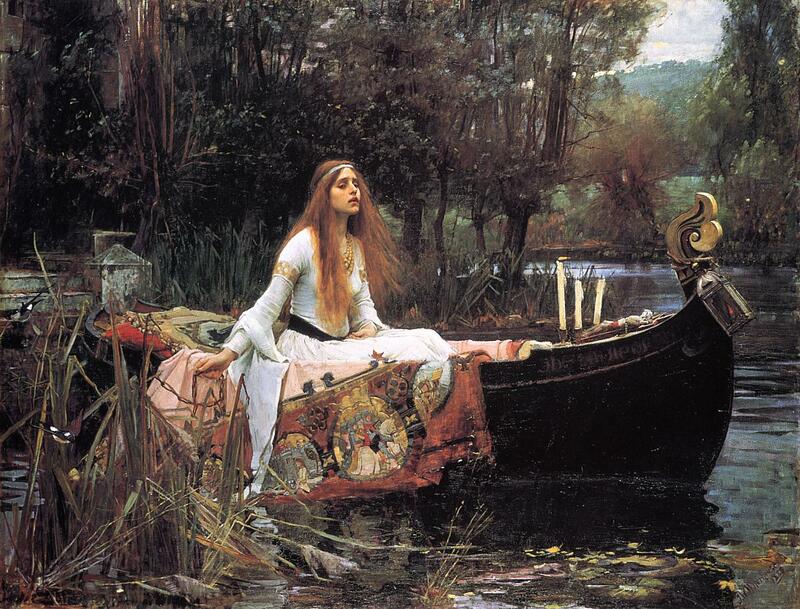 If this seems slightly familiar, it is because Anne Shirley (Anne of Green Gables) immortalized it in the film of the same name, when she acts out the poem “The Lady of Shalott” by Alfred Lord Tennyson. In the film Anne is playing the part of Lady Elaine in her death barge as she floats to Camelot. Romantic–isn’t it? Even in Anne Shirley’s edition it is romantic since her barge sinks and she must be rescued by Gilbert Blythe! Even in the 20th century chivalry is not dead! I love your book reviews and posts…would it be possible to add what age the books you review would be suitable for? I am always looking for good books for my 7yo son to read and/or for a read aloud with the family. Thanks, Lisa–good point! The Boy’s King Arthur is definitely for middle grades–sort of 3rd/4th and up, but of course that is as a read-aloud. Some children on the younger side of that will have trouble following the constantly changing cast of characters. I plan to post some titles for the younger set–primary to intermediate soon. There are a number of adaptations for the primary student that are quite nicely done. Stay tuned! Oh, Rea, I love your reviews! Sadly, I have never read about King Arthur before, but I’m so excited to start reading this with my kids!! Will you be discussing this book at your literature seminar as well? Hi Penny! Yes, I’m going to be discussing this in more depth as well as all the wonderful read-alouds that are perfect for the age your children are now! The seminar will go into much more breadth as there are so many wonderful books for children on this period of history! Can’t wait! P.S. I’ve added your name to the drawing for a free pass to the seminar–Bon chance!